Ball Turning and Burnishing Machine (BTBM) is used for turning and burnishing of ball head used in automobile ball joints (steering gears, for e.g). 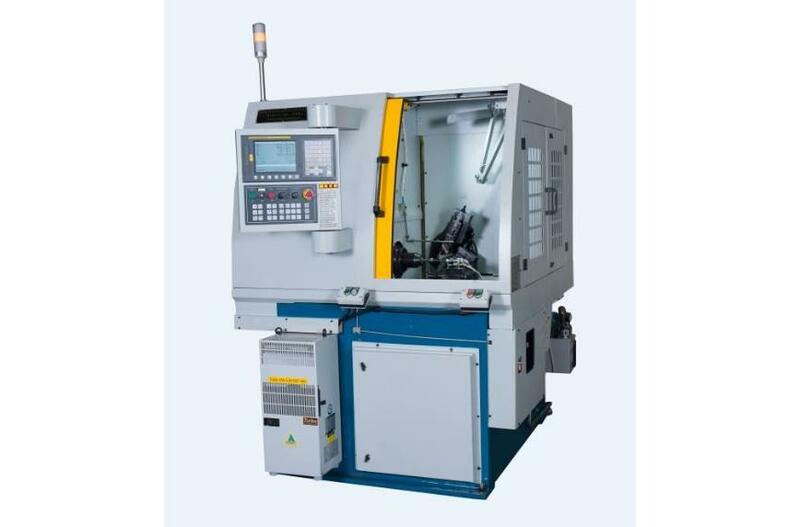 There is an optional CNC slide ( Z-axis) to machine the undercut relief behind the ball head. Sphericity achieved on the ball head is within 4μ and surface finish better than 0.1 μRa which is among the most accurate ones in the industry. Machine can be tooled up for Inner Ball Joint (IBJ), Inner Ball Joint (OBJ) and Suspension Ball Joint (SBJ) Ball pins. Machines for Ball Valve Industry are also available.